diseases and how to achieve their control. We have just released a new leaflet for the project. about the MediLabSecure network and activities. public health institutions through capacity building and networking activities. 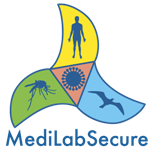 The MediLabSecure project aims at consolidating a Laboratory Network on the emerging viruses that are pathogens for humans and/or animals. It represents a cluster for awareness, risk assessment, monitoring and control of these vector borne diseases. This cluster will require the interaction of four laboratory sub-networks, one for human health, one for animal health, one for entomology and one for public health reinforcement. 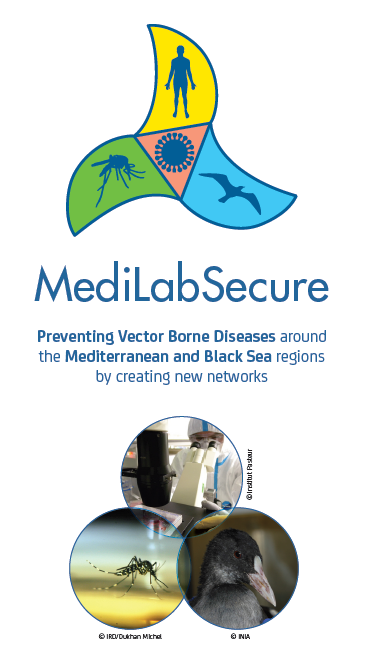 The MediLabSecure network encompasses partner countries around the Mediterranean and Black Sea Regions (19 non-EU countries) by means of a collaborative execution of the stated work packages to address public health-related national needs. 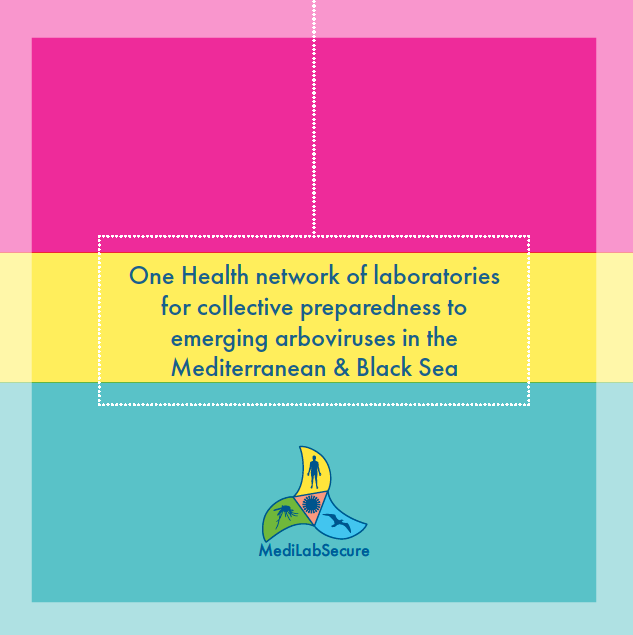 Provide training for public health experts in participating countries to increase the communicable disease control in the Mediterranean and Black Sea region. MediLabSecure is a continuation the “EpiSouth plus” project (2010-2013). The project is funded by the European Union DEVCO/EuropeAid (Contract Number: IFS/2013/330 961). The Project is led by the Institut Pasteur.